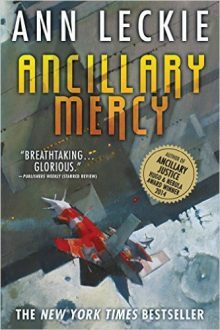 The stunning conclusion to the New York Times bestselling trilogy that began with Ancillary Justice, the only novel to win the Hugo, Nebula, and Arthur C. Clarke Awards. For a moment, things seemed to be under control for Breq, the soldier who used to be a warship. Then a search of Athoek Station’s slums turns up someone who shouldn’t exist, and a messenger from the mysterious Presger empire arrives, as does Breq’s enemy, the divided and quite possibly insane Anaander Mianaai – ruler of an empire at war with itself. Breq refuses to flee with her ship and crew, because that would leave the people of Athoek in terrible danger. The odds aren’t good, but that’s never stopped her before.